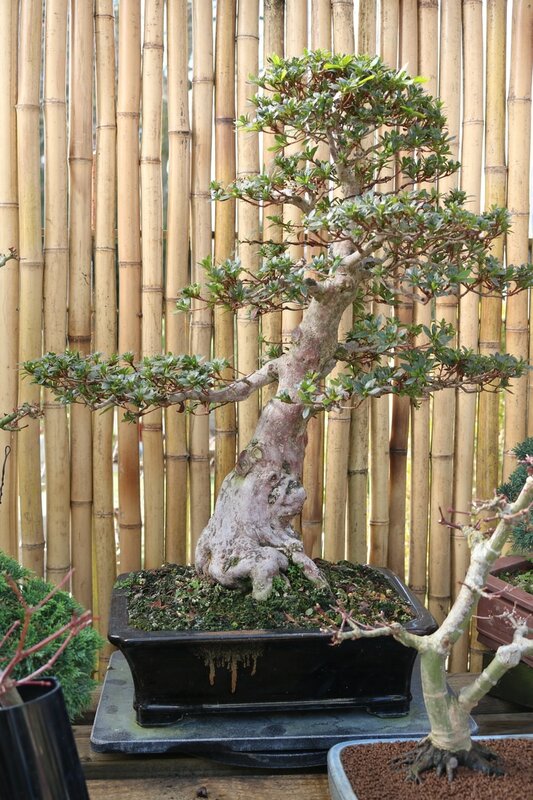 Chuhin Hekisui Azalea in a superb glazed pot by Satomi Terahata. Rescued from a garden and revived in 2014. 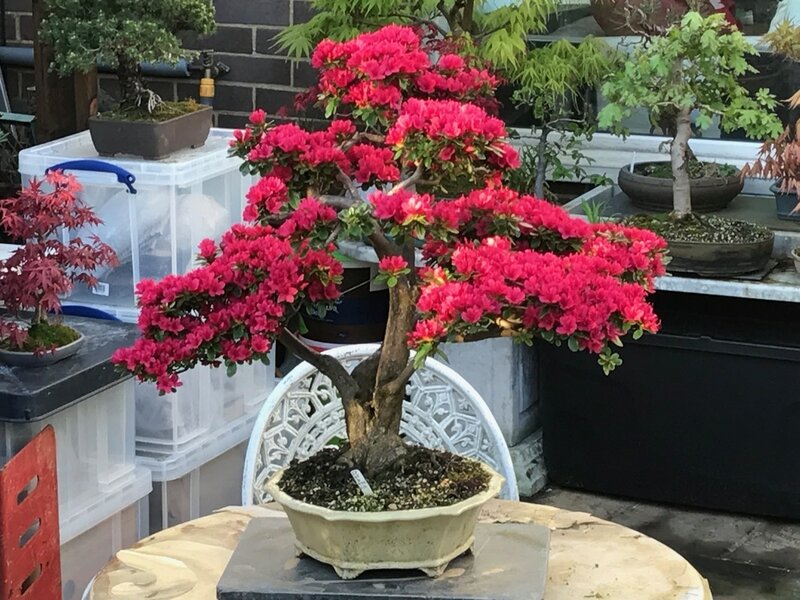 June 2016, pruned and re-potted by Lee V. Pot by Shuhu. 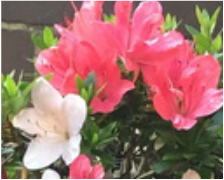 Korin Azalea pruned June 2016 by Lee V. Pot by Shuhu. Rescued material, being trained as a cascade. Summer 2016. Vintage pot with oribe glaze by Ino Shukuho.